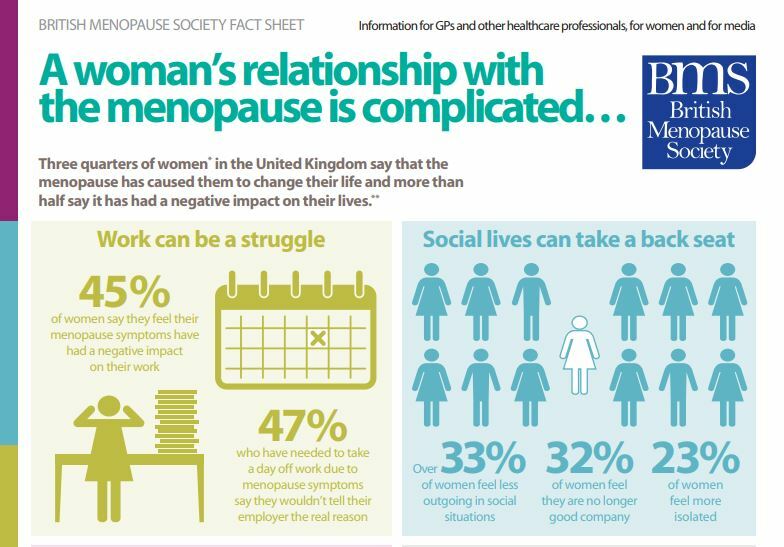 The British Menopause Society has produced several fact sheets on the menopause, including information on the physical, social and emotional impacts for individuals and how this can affect them at work. There is also a fact sheet outlining the findings of a national survey conducted in 2016. Half of the population will go through the menopause at some point in their lives – many of whom will do so while working and may need support. 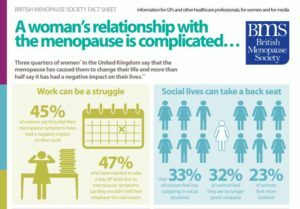 Improved awareness about the menopause – what it is and how it affects people – is crucial to better understanding of how to assist colleagues, friends, family, those we manage, or those who manage us. A fact sheet outlining what the menopause is, what happens and how it can be managed has been developed by the British Menopause Society and Women’s Health Concern and can be accessed here.